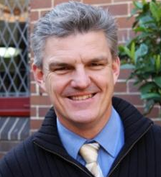 Stuart is a secondary mathematics teacher with 25 years of experience in a variety of NSW schools. He taught and programmed Stages 4, 5 and 6 Mathematics numerous times and was head of department in two schools for 15 years. Stuart is now an educational consultant who conducts professional development workshops for teachers all over NSW and beyond. He assists teachers to implement syllabuses in ways that students find meaningful and engaging. He also works with pre-service teachers at The University of Sydney and mentors teachers participating in The University of Sydney STEM Enrichment Academy. 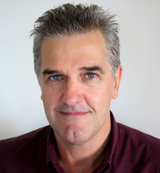 Stuart is lead author of the CambridgeMATHS NSW Years 7 to 10 textbook series and is creating teaching resources for the AAMT/UTS national project called Maths Inside. Richard has 25 years of teaching experience across three states and territories in Australia, including six years as Head of Mathematics. During that time he developed a teaching style which is interactive and relational, directed, yet open-ended, and which fosters individual progression, higher-order thinking, and collaborative learning. Richard is a passionate campaigner for conceptually-based learning. Since 2007 he has focused on inspiring other teachers, delivering hundreds of professional development workshops. His online workshops are agents for change, ushering participants into adopting and adapting these principles into their own teaching style. Richard is the creator of the Learn Implement Share brand, the vehicle to make the tried-and-proven, high-quality online workshops available to teachers globally.